Most everyone can agree that smoking is an unhealthy habit with dire potential consequences. However, for some seniors in New Zealand, the stress of no longer having access to a decades old habit is causing high levels of stress. 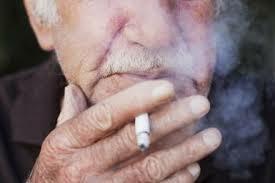 According to TVNZ.com, some Manawatu-based elder care facilities are banning smoking on their grounds and providing warnings and potential fines to seniors caught lighting up. While many workers and residents are supportive of the idea of entirely smoke-free senior living, those who do smoke and have since a time when smoking was inexpensive and the social norm, are finding the stress of having to quit at such an advanced age a major item of concern. While some senior advocates in New Zealand are advocating for smoking seniors’ rights to smoke in an environment meant to be as home-like as possible, it’s easy to see both sides of the coin on this issue. Stark lifestyle changes, like the need to quit smoking or leave a pet behind, is one reason that many seniors fear living outside of their own homes as they age. One potential solution for seniors who desire to age in place but require some assistance is the help of a private duty care agency using a home care software or home care system to manage their services. Caregiver Matching: With robust caregiver matching capabilities within ClearCare Online’s home care software and home care system, seniors can be matched with caregivers who are comfortable working with habits like smoking. Real Time Information Sharing: Information like client habits, preferences and any recent changes to a lifestyle (such as an effort to quit smoking) can be quickly and easily communicated to caregivers in real time with the help of a home care software and home care system like ClearCare Online. Both telephony and online portals create opportunities for secure information sharing with caregivers. Task Tracking: With a caregiver using a home care software to help seniors with their everyday tasks, routines that make them feel comfortable at home can be easily maintained via scheduled tasks that are managed through a telephony system that’s easy for caregivers to use. When it comes to comfort in the Golden Years, seniors who aren’t interested or comfortable with making changes may find comfort in the help of a home care agency with ClearCare Online home care software at their fingertips.